Yes, it is incredibly shallow of me to be complaining about a $500 device that I have not paid a single cent for, but let it be known that I am, along with the rest of the student body, in fact grateful that BPS has gone with a 1:1 iPad program. This is simply a fun exercise that attempts to explain the disparity between two different technology programs, and to do so will involve a little trashing. No hard feelings, iPad. Second disclaimer: This article will not discuss the value of both 1:1 and BYOD in a classroom setting. It has been written about over and over and over again. Instead, it will directly compare the differences between the two programs. The differences in the capabilities of the devices will not be discussed in this article as well; however, here’s our review of the Chromebook. Although it might sound like fiction to some, any 1:1 Program isn’t without its flaws. Here are two challenges to a 1:1 Program that stand out the most. I’ve disregarded 1:1 laptop programs. While a decent laptop might be on par, in terms of cost, with an iPad or a Chromebook, a high-end laptop (MacBook Pro, for example) is several times more expensive. Even if a district was able to afford to buy every one of its students a MacBook Pro and let them bring it home, imagine the controversies it’ll create. Spending more than $1000 on each student, I’m sure, is not something every district has the ability to, nor want to do. Here’s another drawback: older devices running up-to-date software (updates are required by the school) are nuisances. A two and a half year old iPad 2 running iOS 7 is like a rabbit running with a shot leg; what used to be a fast rabbit is now limping, and in spectacular fashion. A day has not gone by without an app crashing in the middle of class, I can’t scroll smoothly (which is surprisingly frustrating), and waking it up from sleep often takes more than 5 seconds. It isn’t useless, but it’s less useful. More and more often I find myself stashing my laptop in my backpack before school every day, and more and more often I find it more convenient than the iPad. BHS has been 1:1 iPad for two and a half years, and while some are satisfied, others think maybe it’s time for a change. With these aging iPads, maybe it is time for an adjustment. After all we can’t defy change. Change is good, right? Is it time for BHS to make the change from 1:1 to BYOD? Some will call it BYOT (Bring Your Own Technology), BYOP (Bring Your Own Phone), or BYOPC (Bring Your Own PC), but they all follow the same concept: instead of using school-issued devices, students and faculty will bring in their own, be it a laptop, a smartphone, an iPod, an Android tablet, a Windows tablet, a Linux tablet, or even one of those HP tablets. Maybe even a pair of Google Glasses. The point of BYOD is that the choice of the device is up to the user. Hypothetically, the more familiar the user is with his device, the more productive he’ll be. Ideally, BYOD should increase productivity among the student body; it’s worked for businesses before. Letting people perform the same task but in their own terms can’t possibly be detrimental. However, would that be true for a school, like BHS, that is already 1:1, where every student already has a device they’re familiar with in hand? I believe that depends on the device: I’ll ditch the iPad in favor for my laptop, absolutely. Ditch the iPad for a wristwatch? Probably not. Of course, I’m speaking for myself. Others will feel different. But isn’t that the beauty of BYOD? On the financial side of things, BYOD is considerably cheaper than 1:1, given schools aren’t purchasing devices. However, there is still money involved for schools. “Even though BYOD is better financially for a school district, you still have to have a lot of money invested on the infrastructure. For example, all of the wireless system, the network, and the security of network, especially if you have devices coming in that aren’t yours, that you aren’t controlling. So you have to spend money there,” said Dennis Villano, Burlington Public School’s Director of Technology Integration. The money that the schools save, however, will have to come out of the students’ pockets. They’ll need to buy a device of their own to bring to school. This might not be the case for most students, however: they may already own that device. Here’s another beautiful thing about BYOD: these devices that students will bring to classes, are, in most cases, familiarized, capable for classroom use, and ready to go. BYOD’s Achilles heel is fragmentation. Does it make sense to have students bring in whatever device they feel most comfortable with, be it an iPad, a laptop, or something else? There is absolutely no debate about that. The debate does begin, however, when one considers the following: what if the device malfunctions and the student has no idea what to do with it? How would schools monitor usage of these devices? Or perhaps most importantly, how are teachers supposed to adapt their curriculum to fit the capabilities of “1000 different devices from 1000 different students”? Imagine the amount of wasted class time because a student wasn’t able to get his iPod on the internet. Imagine another student with a blue screen of death. Spinning pinwheels on MacBooks. Spontaneous restarts. Spontaneous combustions. God forbid if batteries run out of charge and there aren’t enough outlets to go around for everybody. At this point, one might wonder, why with all of BYOD’s flaws, would a 1:1 school ever contemplate switching to BYOD at all. The reality is for every one of BYOD’s flaws, there’s one for 1:1. Is 1:1 a good investment? Sure, if is for a smaller community with enough resources like Burlington, but is it a good idea for a city like Los Angeles to invest $1 billion on iPads? Is the chosen device right for the school’s curriculum? What if the technology becomes outdated with time? “Obviously some school districts might go to BYOD first, simply because they can’t afford to provide a 1:1 environment but the financial investment was good for us.” said Villano. Perhaps the choice between 1:1 and BYOD should be made with finances in mind. But then, is the financial tradeoff worth it? Is it worth getting every student “on the same page” with one device, or should school districts trust their students to get on the right one? These are questions that every school district and students should consider. My proposal? Mix the two up. 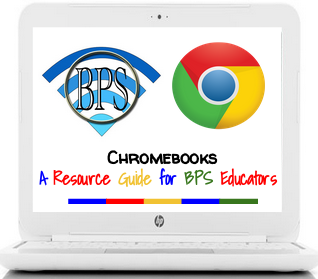 From my experiences, BHS is more than capable of supporting different devices at one time without much trouble. Any school that is already 1:1 or BYOD should have no trouble. Let students decide if they want a school issued device or if they want to bring in their own. Give students the choice, make them responsible for the choices they make. That, I believe, is the way to go.